Home Teleconferences The Special Needs Trust Fairness Act: How Does It Impact Planning? Now Set Up Their Own Special Needs Trust? If you work with disabled clients or set up Special Needs Trusts for them, you need to know how the “Special Needs Trust Fairness Act” impacts your planning. In the past, someone with special needs had great difficulty getting or continuing to receive SSI/Medicaid benefits if he or she had or received assets (including by way of gift, inheritance, spousal or child support, or as a litigation award). Now, there is a great, new opportunity to utilize a “First Party” Special Needs Trust (SNT) - - if you know how to do it right. Join us and SNT expert and founder of The Academy of Special Needs Planners, nationally renowned attorney Kevin Urbatsch, J.D., California State Bar Certified Specialist in Estate Planning, Trust & Probate Law, for a presentation entitled, “The Special Needs Trust Fairness Act: How Does It Impact Planning?”. What are the 8 factors you need to consider before you do First Party SNT planning? Does “Spend Down” or giving away of assets still make sense? How does a PASS (Plan for Achieving Self Support) fit into your planning? How does POMS affect this planning? Is an ABLE account a viable alternative? What about an UTMA account? Can an inheritance be modified, after the testator’s/trustor’s death, so the disabled beneficiary can get or continue SSI/Medicaid benefits? Can a disabled person now have a First Party (d)(4)(A) SNT established without going to court (where such petitions are often denied)? Or is it better for the disabled person to join a (d)(4)(C) Pooled Trust? And much more, including hypothetical planning situations illustrating how this law works! Your purchase includes: Downloadable PDF handout materials and MP3 audio recording. A PDF transcript can be added onto your purchase during the checkout process for an additional fee. Includes: Immediately download of PDF handout materials and MP3 audio recording. Program Title: The Special Needs Trust Fairness Act: How Does It Impact Planning? Kevin Urbatsch is a Certified Specialist in Estate Planning, Trust, and Probate Law by the California State Bar Board of Legal Specialization. In May 2011, Kevin was presented the NAELA’s Presidential Recognition Award for his work in special needs planning. 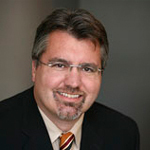 In 2010, 2011 and 2012, Kevin was named a Northern California Superlawyer. In 2009, Kevin was named KRON-TV’s Best of the Bay estate planning attorney for San Francisco and for Northern California. In 2012, Kevin Urbatsch was named a member of the Advisory Board to the Academy of Special Needs Planners, a national organization of special needs planning professionals. Kevin is the author (or co-author) of several books and treatises, including Administering the California Special Needs Trust published in 2011 by IUniverse, Special Needs Trusts: Protecting Your Child’s Financial Future 4th Ed. published in 2011 by Nolo Press, and is the contributing-editor and partial author of CEB’s award winning publication titled Special Needs Trusts – Planning, Drafting, and Administration. He is also the Co-Executive Editor of the NAELA Journal. The Journal is a compilation of scholarly articles concerning elder law and special needs law read by the over 4,000 member NAELA organization. Kevin has been a member of the California Bar since 1993. He received his law degree from St. Louis University in 1993 and his undergraduate degree from Truman State University in 1988. He began his California law practice as a litigator where he specialized in a variety of matters, including but not limited to elder financial abuse, American with Disabilities Act public access cases, and trust and estate litigation. He has participated in several trials as lead counsel, numerous arbitrations, mediations and other formal dispute resolution forums. He also represented a plaintiff in overturning a Northern District of California opinion in the Ninth Circuit case Graham v. USA 96 F.3d 446 (1996). Very well presented, thank you for providing such a valuable program. Kevin is a great speaker! Really enjoyed the program, very well done! Just want to say thank you for the on-demand program regarding the new SNT Act and keeping a solo practitioner updated!